Servotec USA can provide customers with completly Remanufactured V&O Presses from 5 ton to 60 Ton. 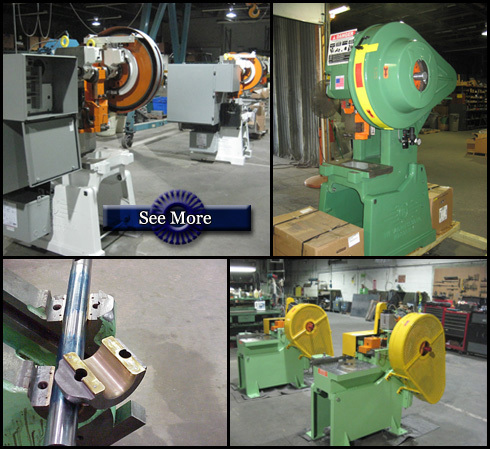 All equipment is rremanufactured to original OEM tolerances and specifications here in our Hudson NY. facility. Presses can be provided as a stand alone unit for the customer to install their own control packages or we can custom engineer a control package to fit the customer's needs. We can also provide custom feed and pick and place systems for a complete turn key solution.